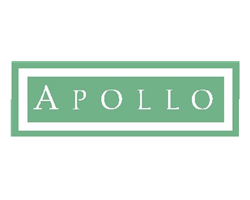 Shares in Apollo Investment Corporation (NASDAQ:AINV) dropped more than 5% pre-market after the company said it has priced a public offering of 12.0 million shares. Underwriters have the option to buy an additional 1.8 million shares. The company didn’t give the price of the offer. XOMA Corp (NASDAQ:XOMA) is moving nearly 5% higher after the drug maker announced that gevokizumab, the company’s IL-1 beta modulating antibody, was granted orphan drug designation by the U.S. FDA. Gevokizumab is used for the treatment of pyoderma gangrenosum. Shares of XOMA are trading at a new 3-year high of $9.27 in pre-market with a 52-week range of $2.49 to $9.13. Alkylamines and alkylamine derivatives maker Taminco (NYSE:TAM) reported Q4 it swung to a Q4 profit, but shares fell as adjusted earnings before interest, taxes, depreciation and amortization declined 14% despite higher sales. TAM was down 1.4% at $20.76 in recent trading shortly after the open. It has a 52-week range of $13.75 to $23.30. The company posted Q4 net income of $1 million, compared with a prior-year loss of $8 million. It didn’t break the quarterly net income into per-share amounts. Adjusted EBITDA slipped to $49 million in the latest quarter from $57 million a year earlier. Net sales climbed 8.4% to $283 million. No analyst estimates were available via Capital IQ. The company said the sales growth was primarily due to volume growth in its Specialty Amines segment, as well as favorable product mix and pricing in its Crop Protection business. “Additionally, global demand remained strong in our most important end-markets driven by favorable mega trends, including agriculture, personal & home care, water treatment, animal nutrition, and energy,” the company said. Shares in Hyperion Therapeutics, Inc. (NASDAQ:HPTX) jumped more than 9% pre-market, putting them on track for a record high, after the company said a Phase 2 trial of glycerol phenylbutyrate for the treatment of hepatic encephalopathy (HE) met its primary endpoint. 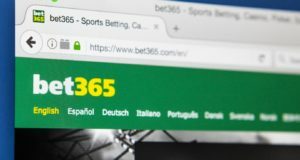 The shares recently traded at $30.32 and have never closed above that level in regular trading. The company said it will begin enrollment in its pivotal Phase 3 trial late this year or early 2015.